One of the most heard stories of Raksha bandhan is that the story of Draupadi, the story is also mentioned in great epic Mahabharata also. Lord Krishna was very fond of Draupadi king Drupad’s daughter. When the royal swayamwar was occurring, and Arjuna won Draupadi ,Lord Krishna was the one who was happiest among all. On the legend day of Makar sankranti, there was a incident in which Lord Krishna injured his figure. Seeing this his consort Sathyabham rushed In a hurry to get a piece of cloth to his queen Rukmani and she send a bandage. At the same time, Draupadi was watching this whole scenario simply she walked over and tore a piece of her sari to bandage Krishna’s hand. By seeing this love Lord Krishna blessed to her for her good deed. He promised to protect her in her times of distress. At the same time, he also uttered the word Akshayam which means unending and declared her as his sister. After this happening, once in the period of Mahabharata Kaal, The Pandavas lost Draupadi in a gamble to the Kauravas. In order to that Duryodhana who was the eldest Kaurva, in envy asked his brother, Dushashan to bring Draupadi in the court and insult her in front of everyone. Draupadi begged for help from everyone who was present in that court room to protect her dignity but no one helped her. And then she remembered Lord Krishna, and Krishan helped her. When Dushashan started pulling Draupadi’s sari then Krishna paid his debt by protecting her, the sari tied to Krishna’s wrist by Draupadi turned into yards and yards. Dushashan was pulling from one side and from another side, Lord Krishna was again wrapping the saree. So by this, a brother protects her sister from getting insulted in front of everyone. 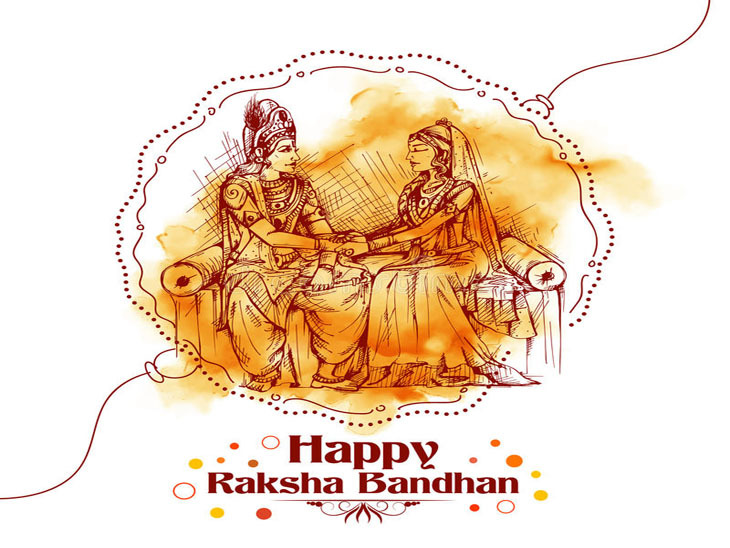 And from that day every sister ties the “Rakhi” on brother’s wrist and in order of that the brother promise to protect her in every situation and also bless her with beautiful Raksha bandhan Gifts. SISTER IS SOMEONE WHO IS CARING AND SHARING & SHE CAN UNDERSTAND PAIN WHICH IS NOT VISIBLE TO ANYONE. I LOVE YOU SISTER.